If you’re like me, you have some favorite wines and favorite wine bottles with labels you love. 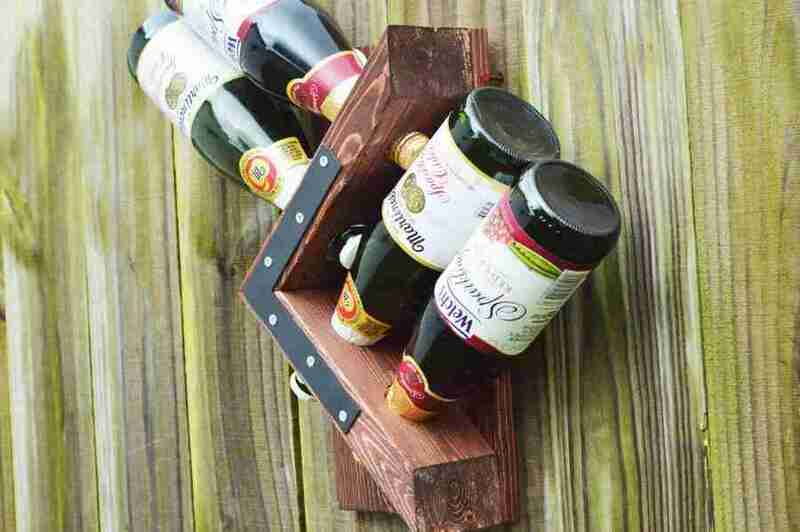 What better way to display them with a fun homemade wall wine rack! 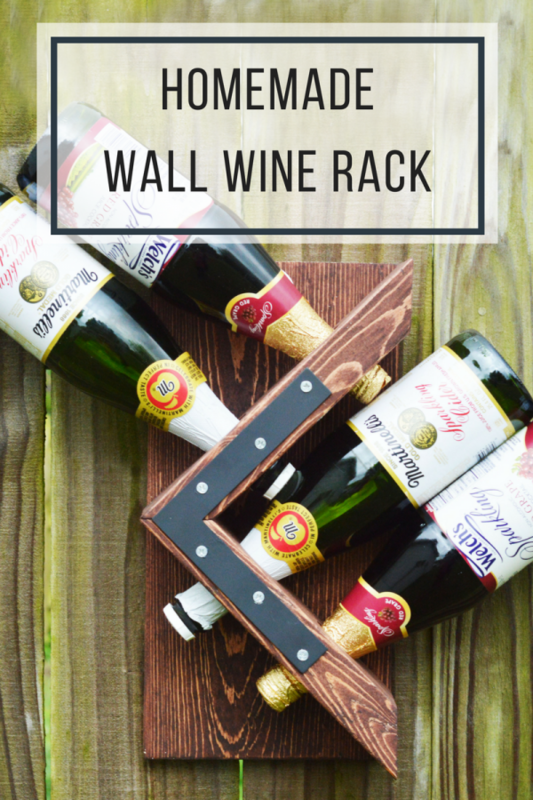 I love how easy this homemade wall wine rack is to put together and you can customize the colors to fit any decor. My only problem… I think I need about 50 of these to show off my collection!!! Whether you are cutting your own wood or having a lumber store do it, be sure to cut the 2×4 pieces with 45-degree angles at both ends. Once all the wood is cut, take your 2x4s and flip them so that the longest side of the board (due to the angle) is facing up. Measure from the end of one side and mark 2.5 inches directly in the middle of the board. Do this from the other end as well. Take your drill and hole saw bit and put two holes where you made those marks. In other words, if you were to cut the holes and then measure again, starting at the end of the board, you should reach 2.5 inches at the edge (the start) of the closest hole from that end. Take all three pieces of board and sand them down so that they’re smooth. Dust them off. Fold up a shop towel until it’s smaller in size and dips into a can well. 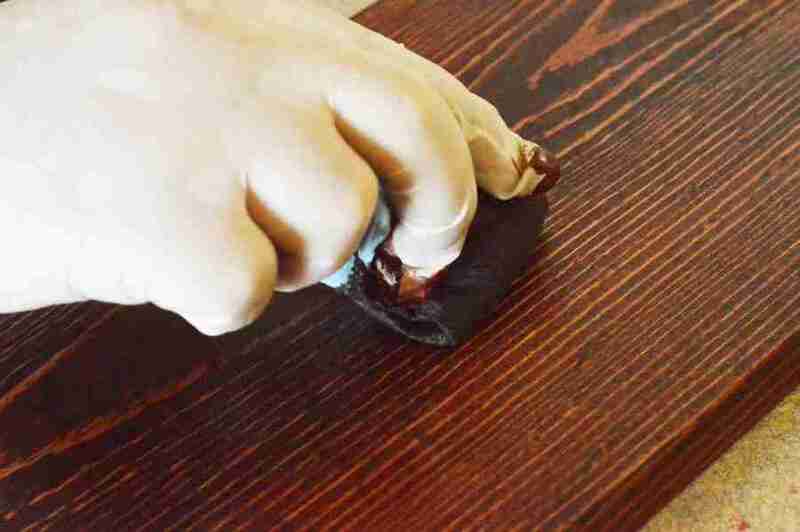 Dip the shop towel in your pre-stain and cover each board thoroughly. A little goes a long way. Leave to sit and dry for about 20 minutes. Using another shop towel, wipe the boards down to get rid of any excess pre-stain. Folding another shop towel, dip its tip in the stain and rub it back and forth, following the wood grain. 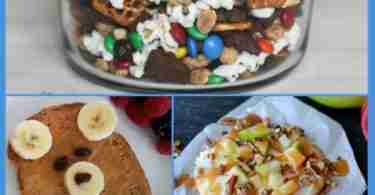 Do this until all three boards are thoroughly stained. 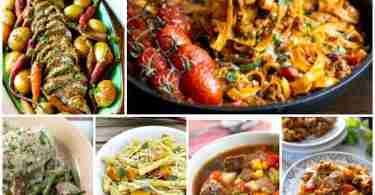 Set aside to dry for about 30 minutes to an hour. 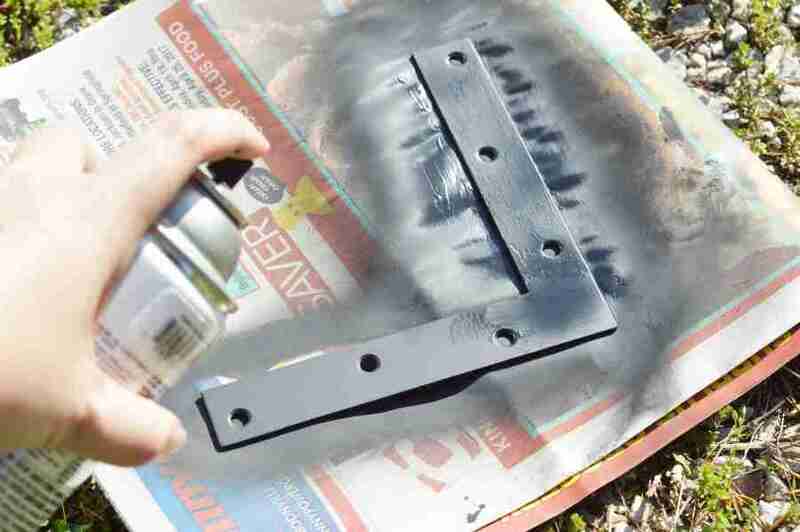 While your boards are drying, take your bracket and spray it down with black spray paint and leave it to dry for about an hour. Count how many holes there are in your bracket and spray paint that many screws black. ONLY the tips of the screws. 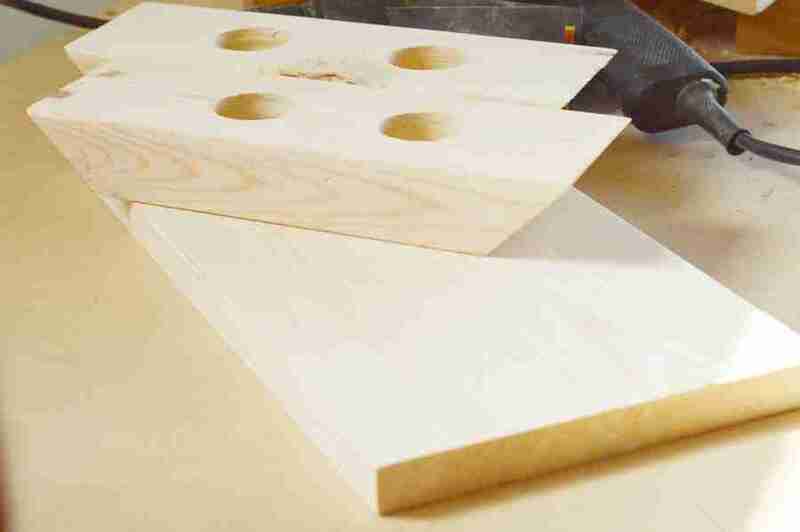 Take your 2x4s and put angle against angle and lay them on top of the larger board. Make sure all the edges line up. Carefully flip it so the large board is on top and then check to make sure everything is lined up again. 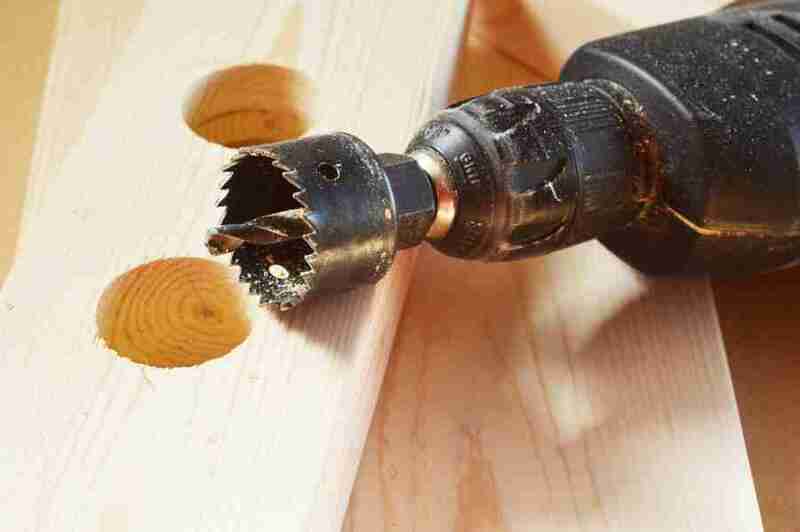 Using your screws and drill, drill two screws into each 2×4 from the back of the larger board to secure them in place. One screw at the top and bottom of each 2×4. Once in place, lay your bracket on top of the 2x4s, the corner of the bracket meeting where the 2x4s form a corner. Use your screws you painted black and secure the bracket in place. Put your sparkling juice or wine in the holes and you’re set! pieces with 45 degree angles at both ends. Once all the wood is cut, take your 2x4s and flip them so that the longest side of the board (due to the angle) is facing up. Measure from the end of one side and mark 2.5 inches directly in the middle of the board. Do this from the other end as well. Fold up a shop towel until it’s smaller in size and dips into a can well. Dip the shop towel in your pre-stain and cover each board thoroughly. A little goes a long way. Leave to sit and dry for about 20 minutes. Using another shop towel, wipe the boards down to get rid of any excess pre-stain. Do this until all three boards are thoroughly stained. Set aside to dry for about 30 minutes to an hour. While your boards are drying, take your bracket and spray it down with black spray paint and leave it to dry for about an hour. Count how many holes there are in your bracket and spray paint that many screws black. ONLY the tips of the screws. everything is lined up again. 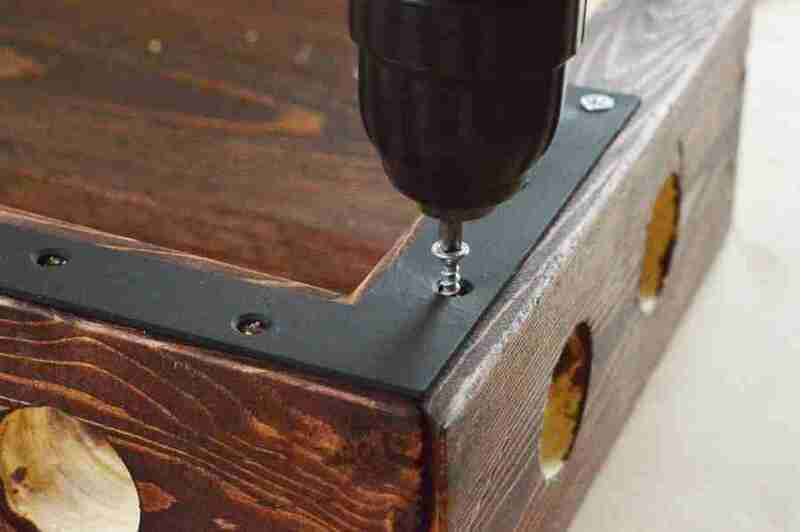 Using your screws and drill, drill two screws into each 2×4 from the back of the larger board to secure them in place. One screw at the top and bottom of each 2×4. 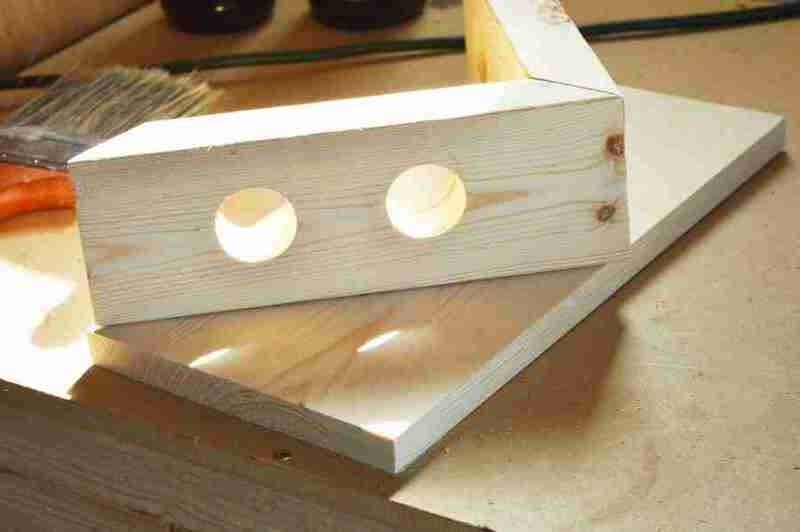 Once in place, lay your bracket on top of the 2x4s, the corner of the bracket meeting where the 2x4s form a corner. Use your screws you painted black and secure the bracket in place. Put your sparkling juice or wine in and you’re set! Looking for the best wines to fill your wine rack? 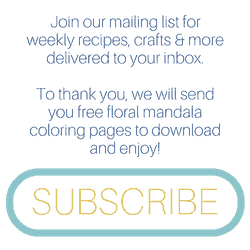 Check out Back Porch Somm and our Wine Page for some ideas! Hope to see more useful points.^^ Thank you!